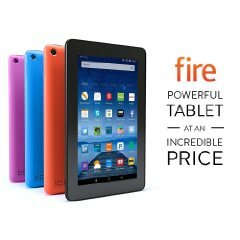 Good until Saturday only, take $10 off the Fire 7" tablet so it is only $39.99. Take $20 off the Fire Kids Edition or the Kindle Paperwhite. Check out all the Valentine's Day Amazon Devices Deals.